McEACHRAN, DUNCAN McNAB, veterinarian, professor, author, school administrator, inspector, and stockbreeder; b. 27 Oct. 1841 in Campbeltown, Scotland, son of David McEachran and Jean Blackney; m. 9 June 1868 Esther Plaskett in East Zorra Township, Ont., and they had two daughters; d. 13 Oct. 1924 in Ormstown, Que. After studying at the Free Church Grammar School in Campbeltown, Duncan McNab McEachran was admitted to the renowned Edinburgh Veterinary College in 1858. He graduated in 1861 and soon received his licence to practise from the Royal College of Veterinary Surgeons, of which he would be made an associate in 1873. In the fall of 1862 he immigrated to Upper Canada and settled in Woodstock, where he opened a private practice. In 1863 veterinarian Andrew Smith*, who had attended Edinburgh Veterinary College with him, asked him to help set up the Upper Canada Veterinary School (later the Ontario Veterinary College) in Toronto and to teach materia medica there. The two men also did their best to promote their field of study among farmers and politicians through lectures and newspaper articles. In 1867 they would publish in Toronto the first veterinary textbook in Canada for farmers, The Canadian horse and his diseases. McEachran would also write numerous articles and reports on the major infectious diseases affecting the country’s livestock. The two men soon parted, however, over a disagreement about teaching methods. In 1865 McEachran decided to open a private practice in Montreal, where he settled permanently the following year. He was to set up the province’s first school of veterinary medicine there. Canadian agriculture was already specializing, with stockbreeding and the dairy industry being the new directions. This trend, along with the growth of horse-drawn traffic in the metropolis, the increase in livestock, and the lack of qualified farriers, conduced to the introduction of veterinary education and the professional training of future practitioners. Since he enjoyed an excellent reputation, McEachran managed to persuade the president of the Board of Agriculture of Lower Canada, Thomas Edmund Campbell*, that setting up such a school might further the economic development of the province. 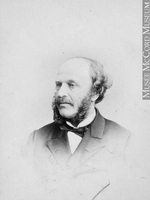 Having obtained a grant of $300 from Campbell and the support of both the principal of McGill College, John William Dawson*, and the dean of its faculty of medicine, George William Campbell*, McEachran founded the Montreal Veterinary College in 1866. Classes began on 26 September in a small residence at the corner of Rue Craig (Rue Saint-Antoine) and Rue de Bleury. McEachran had set himself the goal of making his veterinary school, which was the third in North America to associate itself closely with an institution of higher learning, an active part of McGill College. At that time American and British veterinary schools had no admission test, but McEachran instituted an entrance examination and insisted that students attend three six-month sessions instead of the two that were required at the other veterinary schools. He also established a bold program and high standards for graduation. The beginnings were modest; from 1866 to 1875 only ten students would earn a diploma. Although there were not many of them, they benefited from an advanced scientific training. They took courses in anatomy, dissection, materia medica, medicine, surgery, and veterinary obstetrics, as well as others given by the McGill faculty of medicine in physiology, pathology, histology, chemistry, and botany (over a three-year period). Clinical classes, conducted in the infirmary as well as at the main stables and butcher shops in the city, introduced them to the procedures of anatomical and clinical medicine. In 1875 the Montreal Veterinary College would begin to expand more rapidly. McEachran had a larger building erected at his own expense at 6 Avenue Union, to house a new infirmary for the clinical study of horses, as well as a laboratory, pharmacy, library, and museum where he displayed prepared specimens acquired in the course of his many trips to Europe. Such progressive measures earned him praise, and his school was soon considered one of the best, if not the very best, in North America. In 1872 the authorities of New York City invited McEachran, as an expert, to find ways of combating a severe influenza epidemic that was affecting 30,000 horses and paralysing the city’s transportation system. He would, in fact, make many visits to the United States to carry out research into certain epizootic diseases raging in the eastern states. Anxious to develop at the Montreal Veterinary College the experimental study of animal diseases in North America, McEachran joined forces in 1874 with Dr William Osler*, who would become an outstanding figure in medical science. Recently returned from a course of studies in Europe, Osler introduced the students of veterinary medicine to zoonoses (animal diseases transmissible to humans, such as hog cholera and trichinosis) and to entozoology (the study of the many parasites affecting domestic animals). With McEachran’s consent, Osler set up a laboratory for pathological and microscopic demonstrations and initiated the first research in Canada in comparative pathology. The two men shared the same avant-garde philosophy of medical teaching. They considered human medicine and veterinary medicine to be complementary and based on the same fundamental principles. Students at the Montreal Veterinary College therefore had to take some courses in common with their colleagues in the medical faculty and write the same examinations. They not only left the college with an excellent training, but they also had the option of turning to a career in human medicine by taking only one additional year at the McGill faculty of medicine. With a grant of $1,000 from the Council of Agriculture of the Province of Quebec, McEachran in 1877 set up the French section of the Montreal Veterinary College, thereby becoming the first person outside France to provide veterinary training in French. The structure of the program was identical to that of the English section. The veterinary courses were taught by French-speaking graduates of the college, including Orphir Bruneau and Joseph-Alphonse Couture, who were joined two years later by Victor-Théodule Daubigny*. McEachran himself taught there. The Montreal School of Medicine and Surgery (then affiliated with Victoria College in Cobourg, Ont.) was responsible for the medical curriculum. The excellence of instruction was universally recognized, but at the request of the provincial government the French section had to give way in 1885 to two new French-language schools, the École Vétérinaire de Québec, set up and operated by Couture, and the École de Médecine Vétérinaire Française de Montréal, founded by Bruneau and Daubigny. McEachran must be given credit for having strongly encouraged the development of French-language veterinary medicine following a university teaching model that would be a milestone. The existing affiliation took concrete shape in 1889 when the Montreal Veterinary College became the faculty of comparative medicine and veterinary science (a name suggested by Osler) of McGill University. Pleased with this integration, McEachran accepted the office of dean (which he would hold until 1903) and instituted a program leading to a doctorate in veterinary science. McGill conferred on him the honorary degree of doctor of veterinary surgery in 1890, appointed him professor emeritus in 1905, and awarded him a second honorary degree, an lld, in 1909. Anxious to keep pace with the latest advances in medical knowledge, McEachran raised the requirements for the program by adding lessons in comparative pathology and in bacteriology taught by Dr Wyatt Galt Johnston* and Dr John George Adami, as well as, among others, courses in zoology and cynology. The faculty was acknowledged, by such periodicals as Chicago Field and Turf, Field and Farm (New York), to be one of the best institutions in North America, and it attracted students from several countries to Montreal. Graduates of the school would practise in the United States, Great Britain, Japan, South Africa, and the West Indies. Despite this enviable record, the faculty found itself in a difficult situation by the beginning of the 20th century. From 1890 to 1902 the number of students admitted dropped from 50 to 15. This decline was due not only to inadequate financial support from governments and from McGill, but especially to competition from smaller schools with lower admission standards and less demanding courses of study. In the event, the enormously popular Ontario Veterinary College had 3,365 graduates between 1863 and 1908, compared to the Montreal school’s 315 (from both French and English sections) between 1866 and 1902. In 1903 the faculty was forced to close. Despite its brief existence, it had contributed greatly to the development of the teaching and practice of veterinary science. Its pedagogical philosophy, which was based on the similarity between human and animal medicine, as well as on instruction in basic science combined with clinical experience, anticipated the teaching model that most Western schools of veterinary medicine would adopt after World War I.
McEachran’s activities were not confined to the field of education. From 22 June 1877 to 27 Aug. 1886 he served as veterinarian to the Volunteer Militia Field Battery of Artillery of Montreal. This work was, however, of slight importance in comparison to his involvement in the organization of the first system of animal quarantine in Canada. The rise in British demand for animals, the increasing volume of international trade by transatlantic steamer, and the threat of an outbreak of foot-and-mouth disease (present in Great Britain at that time) had prompted the federal government to institute a policy of systematic inspection for animals entering or leaving Canada. McEachran was put in charge of this program, and in 1876 he had become chief inspector of livestock. He assigned the province’s best veterinarians to the port of Lévis, where what was probably the first animal quarantine station in North America opened that year; their job was to monitor the movement of cattle, sheep, hogs, and horses, which were often suffering from infectious diseases. Quarantine stations were also opened in Halifax and Saint John in 1876 and, following the growth of the trade in animals at the beginning of the 20th century, more than 20 more were established in Canada, from Pictou, N.S., to Nelson, B.C. Influenced by this type of preventive model, the United States would also set up such stations. 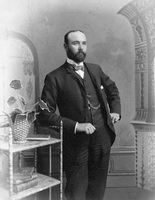 McEachran was recognized by the country’s political leaders and in 1885 he became the first chief veterinary inspector for the government of Canada (a part-time position). He oversaw the enforcement of the Act respecting infectious or contagious diseases affecting animals, passed that year. This statute significantly strengthened measures for controlling infectious animal diseases by imposing new sanitary constraints on the owners of livestock, by giving expanded powers to veterinary inspectors, by specifying the standards for slaughtering infected animals, and by widening the powers for prohibiting the importation of suspect animals. McEachran also supervised the creation of a state apparatus that had several objectives, including the introduction of an animal and food inspection network and the supervision of the laboratories in which veterinarians and other scientists carried out experimental studies of animal diseases. He was responsible as well for ordering the slaughter of herds declared contagious, so as to prevent a heavy toll on livestock. Aware of the complaints of breeders, who suffered substantial financial losses in such cases, he made a point of obtaining their cooperation. He tried to get them compensation from the federal government for their slaughtered herds. When trade disputes arose over the export of cattle, he refuted in detail British allegations to the effect that there were endemic animal diseases such as anthrax, bovine pleuropneumonia (especially in 1892), and Texas fever in Canada. Two research laboratories were set up while he was chief inspector, one in Stellarton, N.S., in 1891, and the other in Outremont, Que., in 1897. Having ensured that the animal inspection system was firmly established, McEachran resigned in 1902, but he remained an honorary consultant to the federal government. His successor, John Gunion Rutherford, who was to interest himself particularly in the health of animals branch (it would become the Canadian Food Inspection Agency in 1997), carried on the work McEachran had begun. In McEachran’s view, scientific activities, and in particular laboratory sciences, were the royal road to the development of veterinary medicine. By 1882 McEachran had embraced Louis Pasteur’s theory and the new discoveries in bacteriology. He took part in 1893 in the Montreal Medico-Chirurgical Society’s investigations into infectious diseases. In 1895 he became one of the first to introduce into Canada the tuberculin test, a method of detecting bovine tuberculosis developed by German bacteriologist Robert Koch. He also encouraged the organization of research projects on this disease at the Outremont experimental station. As a member of the Milk Commission of the Montreal Medical-Chirurgical Society, he recommended to the city of Montreal in 1900 – some 20 years before the idea was put in practice – that it set up a system for supervising the production and distribution of milk. He represented Canada at many international gatherings, including the International Congress on Tuberculosis held in London, England, in 1901. McEachran was an activist who, like his former colleague Andrew Smith, hoped to raise not only the intellectual and professional qualifications of veterinarians, but also their standing in society. It was with this goal in mind that in 1875 he helped found the Montreal Veterinary Surgeons Association, which sought to improve the training of graduate veterinarians, intensify the struggle against charlatans, and make farmers aware of the effectiveness of veterinarians. In 1876 McEachran began lobbying the American Veterinary Medical Association, through articles in the American Veterinary Review and the United States Veterinary Journal (published respectively at Schaumburg and Chicago in Illinois) for better courses of study and greater recognition of the profession. In the late 1870s he wrote a veterinary column for Le Journal d’agriculture (Montréal). From 1885 he was also part of a group urging the provincial government to give graduate veterinarians the exclusive right to treat animals. The message was heard, and an act passed in 1902 would create the Board of Veterinary Surgeons of the Province of Quebec. In 1888 he became a member of the Society for the Study of Comparative Psychology. Keenly interested in stockbreeding and attracted by its potential profits, McEachran helped found the two biggest ranches in Canada at the end of the 19th century. In 1881, after going on horseback to the foot of the Rockies (an account of the trip was published in the Montreal Gazette that year), he joined with Senator Matthew Henry Cochrane*, of Compton, Que., in starting the Cochrane Ranche Company Limited. The first of a dozen large companies organized by capitalists from England or eastern Canada to set up livestock farms in southern Alberta, it came into being through a Canadian government program for leasing grazing land cheaply. After two years as vice-president and general manager of the company, which owned four ranches west of Fort Calgary, McEachran resigned in the wake of technical and financial problems. He then accepted a more lucrative position as general manager of the Walrond Cattle Ranch Limited, which was owned by British businessman Sir John Walrond and located a little farther south in Alberta, near Pincher Creek. The two companies each leased more than 200,000 acres of land and raised about 10,000 head of Hereford and Polled Angus cattle. Their founders counted on using the Canadian Pacific Railway, then under construction, to ship their animals to markets in eastern Canada and Great Britain. McEachran offered his experience as a veterinarian, visiting the site at least twice a year to inspect the operation. He also supervised the ranch managers from his base in Montreal. The head office of Walrond Cattle Ranch Limited remained in England until 1898, when the New Walrond Ranche Company Limited was formed, with McEachran becoming president and general manager. The enterprise ceased operations in 1908 after several years of financial losses. Its entire herd was purchased by stockbreeder Patrick Burns*. In view of his keen interest in horses and knowledge of their ways, McEachran served as an equestrian judge at the National Horse Show in New York in 1891 and 1892 and at the Columbian exposition in Chicago in 1893. He was also a member of the Montreal Hunt Club, the Forest and Stream Club in Dorval, and the influential St James Club in Montreal. In 1909, when he was nearly 70 years old, he gave up his residence on Avenue Union in Montreal and moved into a magnificent villa in Ormstown, southwest of the city. He operated a dairy farm and raised Clydesdale horses on more than 200 acres of fertile land on the Rivière Châteauguay. In 1916 his farm won a silver medal in the Agricultural Merit competition in Quebec. Duncan McNab McEachran may be considered a typical builder of Canada during the latter half of the 19th century. An educated Scot determined to carve out a place for himself in the country, he had the energy to provide it with competent professionals. His ambition attracted some criticism, since he was occasionally headstrong and inflexible. He was nevertheless a decisive and productive man. The advancement of veterinary medicine and the services he and his students were able to render to society are surely among his finest achievements. The Montreal Veterinary College provided its graduates with a scientific education that enabled them to participate in the progress of this vast country by ensuring the development of animal husbandry so as to provide food for cities with rapidly expanding populations, looking after the health of the horses on which highway traffic was still largely dependent, caring for the military cavalry, and safeguarding public health. By the end of his career McEachran had, through his efforts in the fields of education and the prevention and treatment of animal diseases, helped improve the health of the country’s herds and rid them almost entirely of contagious diseases. In addition to the book he wrote with Andrew Smith, Duncan McNab McEachran published several monographs and articles: Bulletin on typhoid fever in horses, improperly called influenza (Ottawa, 1901); Hog cholera and swine plague and verminous broncho-pneumonia (Ottawa, 1899); Maladie du coït (equine syphillis) (Ottawa, 1901); “On the intercommunicability of tuberculosis from animals to man and from man to animals,” Montreal Medical Journal, 21 (1892–93): 801–12; “On the prevention of tuberculosis in animals,” Montreal Medical Journal, 28 (1899): 410–22; Opening address; Society of Comparative Psychology (in connection with the Montreal Veterinary College) (Montreal, 1888); “Osler and the Montreal Veterinary College,” in Sir William Osler memorial number ([Toronto], 1920): 35–38; Tuberculosis in cattle (Ottawa, 1900); and “Veterinary education,” American Veterinary Rev. (Schaumburg, Ill.), 1 (1877): 12–13, 45–50, 85–92, 113–115. He also prepared all the reports of the Montreal Veterinary College from 1866 to 1903, published under the title Annual announcement, as well as numerous other reports for the provincial and federal governments: Que., Parl., Sessional papers, report of the commissioner of agriculture and public works (commissioner of agriculture and colonization; commissioner of agriculture), 1872–1904; Can., Parl., Sessional papers, reports of the minister of agriculture, 1874–1910. McEachran is also the author of several travel accounts – Impressions of pioneers, of Alberta as a ranching country, commencing 1881 (Ormstown, Que., [1916? ]), A journey over the plains: from Fort Benton to Bow River and back (Montreal, 1881), Notes of a trip to Bow River, North-West Territories (Montreal, 1881), and Report of a visit to Great Britain and the continent of Europe in the winter of 1897–98 (Ottawa, 1898) – and of an unpublished report, “Sanitary measures in preventing disease in the U.S. and Canada,” presented to the United States Veterinary Medical Assoc., Philadelphia, 1876. AO, RG 80-27-2, 50: 92. MUA, 99-2; 923, 1. Private arch., A. B. McCullough (Ottawa), “The Walrond Ranche: a financial history” (1998); George Thomson (Lochmaben, Scot. ), “Professor Duncan McNab McEachran, 1841–1924: a biography” (typescript). Gazette (Montreal), 14 Oct. 1924. T. W. M. Cameron, “Veterinary education in Canada,” Veterinary Journal and Annals of Comparative Pathology (London), 93 (1937): 102–6. Canadian men and women of the time (Morgan; 1898 and 1912). Cyclopædia of Canadian biog. (Rose and Charlesworth), vol.2. F. T. Daubigny, “The teaching of veterinary science in the province of Quebec,” American Veterinary Medical Assoc., Journal (Schaumburg), 18 (April–September 1924): 14–20. T. W. Dukes, “Veterinary history: early Canadian microscopists with associations to veterinary medicine,” Canadian Veterinary Journal (Ottawa), 34 (1993): 241–45. T. [W.] Dukes and Norman McAninch, “Health of animals branch, Agriculture Canada: a look at the past,” Canadian Veterinary Journal, 33 (1992): 58–64. S. B. Frost, McGill University: for the advancement of learning (2v., Montreal, 1980–84). Denis Goulet et André Paradis, Trois siècles d’histoire médicale au Québec; chronologie des institutions et des pratiques (1639–1939) (Montréal, 1992). Orlan Hall, “Progress of tuberculosis eradication in Canada,” Canadian Journal of Comparative Medicine and Veterinary Science (Gardenvale, Que. ), 3 (1939), no.2: 47–50. Frédéric Jean, “L’empoisonnement par le lait: l’impact de la campagne du lait pur sur la lutte à la mortalité infantile au Québec, 1830–1930: le cas de Montréal” (thèse de ma, univ. de Sherbrooke, Qué., 1999). McGill Univ., Annual report (Montreal), 1890–1903. C. A. Mitchell, A note on the early history of veterinary science in Canada (Gardenvale, 1940). “Montreal Veterinary Medical Association,” Veterinary Journal and Annals of Comparative Pathology, 4 (1877): 140–41. V. A. Moore, “Duncan McEachran and the McGill faculty of comparative medicine,” American Veterinary Medical Assoc., Journal, 13 (October 1921–March 1922): 625–38. “Necrology: Duncan McEachran,” American Veterinary Medical Assoc., Journal, 19 (October 1924–March 1925): 265. Michel Pepin, Histoire et petites histoires des vétérinaires du Québec ([Montréal], 1986). J. F. Smithcors, The veterinarian in America, 1625–1975 (Santa Barbara, Calif., 1975). P. M. Teigen, “The establishment of the Montreal Veterinary College, 1866/67–1874/75,” Canadian Veterinary Journal, 29 (1988): 185–89. Sandra Vokaty, “The adventures of Dr. Duncan McNab McEachran in western Canada,” Canadian Veterinary Journal, 20 (1979): 149–56. Who’s who and why, 1914. Denis Goulet and Frédéric Jean, “McEACHRAN, DUNCAN McNAB,” in Dictionary of Canadian Biography, vol. 15, University of Toronto/Université Laval, 2003–, accessed April 24, 2019, http://www.biographi.ca/en/bio/mceachran_duncan_mcnab_15E.html.